When you find yourself reaching for the duct tape to keep the plug of your hair dryer from falling out of the wall, it might be time to upgrade your outlets. It’s easy to ignore what might seem like a small inconvenience, but serious electrical system issues often reveal themselves in little ways. 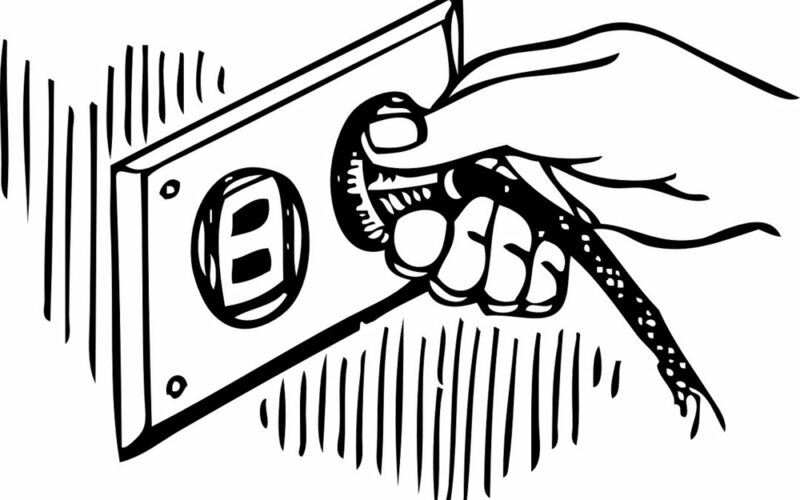 Here are some signs it might be time to call your Orlando electrician to upgrade your outlets. If you’re having to prop up (or worse, tape up) the plug of your hair dryer, your coffee maker, or whatever other appliance you’re trying to use so that the prongs won’t fall out of the outlet, it’s definitely time to call an electrician. The outlet’s contact points are worn out, and when that happens, the connections between the prongs of the plug and the electrical system are loose. Unfortunately, the electrical arcing that results can sometimes lead to devastating damage, including house fires. If your outlet is chipped or discolored, it’s more than just an ugly design flaw. When the outlet’s faceplate is cracked, the terminals inside are exposed, and that’s definitely a hazard for anyone — kids included — who might be using it. Worse, if the outlet shows signs of discoloration, especially burn marks, it’s a clear clue that the connections inside have heated up dangerously. Especially if living with little ones is not part of your daily routine, it can be easy to forget to childproof your electrical outlets or miss that elusive one on the wall under the bed. Fortunately, the National Electric Code has now mandated that old outlets be replaced with tamper-resistant models. If a child inserts an object into the slots of the outlet, there are plastic “gates” that stay closed unless you’re an adult inserting a plug. If your outlets are the two-slot kind, not the three-slot, this indicates they aren’t grounded. If your outlets are grounded, this means that extra electricity has a “safe place” to go in the event of an electrical short, traveling back along the ground wire. Without that grounding, electricity can spark out and ignite walls, curtains, rugs, or random nearby items. A qualified electrician in Orlando FL can replace those ungrounded outlets with safe ones. This is definitely not a do-it-yourself project. If you’re plugging in your lamp and you hear a sizzle, a pop, a spark, or if you smell burning, turn off the power to your lamp, cut off the power to the outlet entirely, and call Adonai Electric. What those worrisome signs mean is that there’s a serious issue with your circuits or possibly some kind of water damage. Either way, these signs are warning you that a fire could break out very easily. Ultimately, upgrading your outlets is one of those tasks where a little prevention goes a long way to protecting your home.